Please click here to see the edition of BuilderBytes for 7/30/12 on the Web. Please click here to see the edition of BuilderBytes for 7/27/12 on the Web. Please click here to see the edition of BuilderBytes for 7/25/12 on the Web. My column for the July issue of Builder & Developer magazine is now posted online. For this issue, entitled "The Student Loan Crisis," I wanted to review the important trend of escalating student loan debt and just what that means for the housing market. According to a recent analysis of government data by the NAHB, the rise in student loan debt is actually a function of lower home values: with U.S. household wealth falling by 40% between 2007 and 2010, students who were formerly able to rely on their parents’ home equity lines instead took on a patchwork of student loans from both the federal government and private lenders such as SallieMae (the former GSE fully privatized in 2004), Citibank or JPMorganChase. To read the entire July 2012 issue in digital format, click here. Please click here to see the edition of BuilderBytes for 7/23/12 on the Web. It’s certainly interesting to see that the Home of the Year at the recent 2012 Gold Nugget Awards in San Francisco, entitled “Modern Farmhouse,” seemed to effortlessly combine the style of a classic farmhouse with today’s demand for flexible living and multi-generational households. Although built as a semi-custom home to be auctioned off for St. Jude’s Cancer Center, the Castle Rock, CO home by Woodley Architects has been so well-received that similar designs are currently underway. But this award-winning home is far from an exception. In today’s competitive business environment, product design for consumer technology, cars and Web sites has taken center stage, and it is now increasingly felt in updated designs for a variety of building projects whether they’re intended for single-family homes, multi-family projects, mixed-use projects or even the growing demand for multi-generational homes. 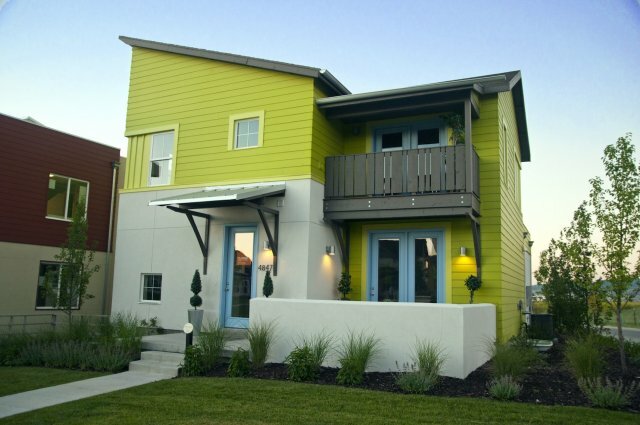 For example, Garbett Homes’ Solaris project in South Jordan, UT, nabbed the Grand Award for Residential Project of the Year – Detached Product due to a combination of bright colors and modern lines wrapped around energy-efficient techniques that mean utility bills as low as $5 per month. In a state of annual climate changes such as Utah, that’s certainly impressive, and is made possible by solar or geothermal heating and cooling as a standard feature. Consequently, these homes redefine the single-family home in ways that are both practical and aesthetic. In Huntington Beach, CA, Christopher Homes tapped MSA Architects to create an attached project that varied its facades enough to emulate a high-density detached development. By combining useful outdoor spaces, spacious common rooms and high-functioning kitchens, The Villas at Pacific Shores -- Grand Award winner for Attached Product within a suburban Setting – thus provides a luxury, attached home alternative in this coastal community of Orange County. For the winner of the Attached Product in an Urban setting, judges decided upon the Drs. 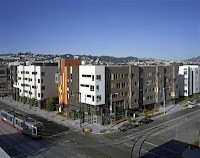 Julian and Raye Richardson Apartments, which offer short-term housing for homeless persons in transition. Built in a part of downtown San Francisco damaged by the 1989 Loma Prieta earthquake, the unique exterior selected by architects David Baker + Partners has reportedly helped to re-energize a streetscape long dominated by much older buildings. In addition, a combination of gathering rooms, an on-site bakery providing job training and a green roof where residents can grow their own food helps to establish the project as much more than just a simple building. In Irvine, CA, The New Home Company hired Robert Hidey Architects for The Hill at Lambert Ranch and won the top prize for detached housing in the newly created category of Multi-Generational Concepts. By cleverly using landscaping and window placement, Residence One & Two provide privacy for individual family members while still allowing for a large, common space named, of course, the family compound. 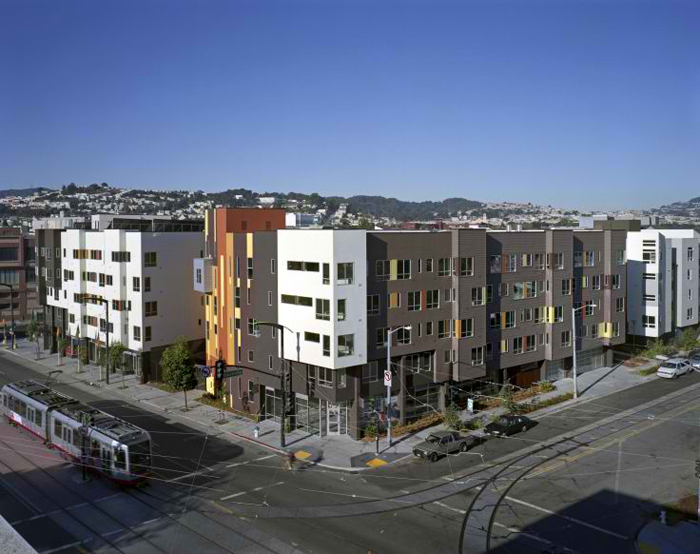 But it was in San Francisco where developer Bridge Housing, working with David Baker + Partners, built Amstrong Place Senior and Family Housing, in the process winning the Grand Award for best attached Multi-Generational Concept. Combining affordable flats for seniors with townhomes for growing families, the design’s primary focus was to eliminate any potential feelings of isolation for its older residents while still remaining interesting to younger ones. That was achieved by plenty of landscaped public space and a patchwork of playful colors and patterns on the exterior to make it a neighborhood stand-out. Finally, Meritage Homes’s Ragle Ranch in Santa Rosa, CA won the Grand Award for continuing to raise the bar for green homes among production homes. With the latest construction techniques, these Meritage Homes are reportedly 39% more efficient than the already-high standards required by California. Advanced ventilation design and low-emitting products throughout the house help to maintain indoor air quality, while both plumbing fixtures and outdoor landscaping are engineered for minimal water use. Best of all, since their work was verified by third parties such as EnergyStar and GreenPoint Rated, customers get separate proof of a green home. With new home projects such as these capturing the interest of buyers or renters and winning the plaudits of their peers in the building industry, I think it can be said that practical and efficient need not equal boring. Best of all, these designs will provide a compelling alternative to older, more staid homes which, relatively speaking, hog both water and energy. Please click here to see the edition of BuilderBytes for 7/20/12 on the Web. 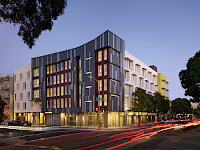 Please click here to see the edition of BuilderBytes for 7/18/12 on the Web. Please click here to see the edition of BuilderBytes for 7/16/12 on the Web. Please click here to see the edition of BuilderBytes for 7/13/12 on the Web. Please click here to see the edition of BuilderBytes for 7/11/12 on the Web. Please click here to see the edition of BuilderBytes for 7/09/12 on the Web. Please click here to see the edition of BuilderBytes for 7/6/12 on the Web. We here at The Housing Chronicles Blog and MetroIntelligence would like wish our clients, colleagues and friends a very Happy Fourth of July! Variously known as the Fourth of July and Independence Day, July 4th has been a federal holiday in the United States since 1941, but the tradition of Independence Day celebrations goes back to the 18th century and the American Revolution (1775-83). In June 1776, representatives of the 13 colonies then fighting in the revolutionary struggle weighed a resolution that would declare their independence from Great Britain. On July 2nd, the Continental Congress voted in favor of independence, and two days later its delegates adopted the Declaration of Independence, a historic document drafted by Thomas Jefferson. From 1776 until the present day, July 4th has been celebrated as the birth of American independence, with typical festivities ranging from fireworks, parades and concerts to more casual family gatherings and barbecues. In the pre-Revolutionary years, colonists had held annual celebrations of the king's birthday, which traditionally included the ringing of bells, bonfires, processions and speechmaking. By contrast, during the summer of 1776 some colonists celebrated the birth of independence by holding mock funerals for King George III, as a way of symbolizing the end of the monarchy's hold on America and the triumph of liberty. Festivities including concerts, bonfires, parades and the firing of cannons and muskets usually accompanied the first public readings of the Declaration of Independence, beginning immediately after its adoption. Philadelphia held the first annual commemoration of independence on July 4, 1777, while Congress was still occupied with the ongoing war. George Washington issued double rations of rum to all his soldiers to mark the anniversary of independence in 1778, and in 1781, several months before the key American victory at Yorktown, Massachusetts became the first state to make July 4th an official state holiday. After the Revolutionary War, Americans continued to commemorate Independence Day every year, in celebrations that allowed the new nation's emerging political leaders to address citizens and create a feeling of unity. By the last decade of the 18th century, the two major political parties--Federalists and Democratic-Republicans--that had arisen began holding separate Independence Day celebrations in many large cities. The tradition of patriotic celebration became even more widespread after the War of 1812, in which the United States again faced Great Britain. In 1870, the U.S. Congress made July 4th a federal holiday; in 1941, the provision was expanded to grant a paid holiday to all federal employees. Over the years, the political importance of the holiday would decline, but Independence Day remained an important national holiday and a symbol of patriotism. 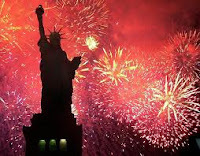 Falling in mid-summer, the Fourth of July has since the late 19th century become a major focus of leisure activities and a common occasion for family get-togethers, often involving fireworks and outdoor barbecues. The most common symbol of the holiday is the American flag, and a common musical accompaniment is "The Star-Spangled Banner," the national anthem of the United States. Please click here to see the edition of BuilderBytes for 7/02/12 on the Web.